The timeless, true-to-size sweat design features a new-and-improved feminine fit, and our classic branding. This hoodie is super soft, super warm and is made of great quality material. I’m a size 8 and ordered the M since I wanted a slightly bigger fit but honestly it fitted pretty much perfectly. So if you want an oversized hoodie I’d go up a few sizes. I ordered the plum coloured one and it’s a brilliant colour. Overall a great hoodie and I’d definitely consider buying another. Brilliant quality and is exactly as described. I’m usually a UK size 8 but wanted a slightly oversized look so got a medium. The medium actually fits perfectly so if you’re looking for oversized I’d go at least 2 sizes up. Super soft, looks nice on and isn’t too thin. Love it!!! 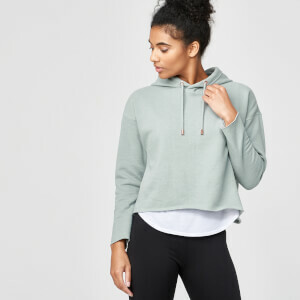 Love this hoodie so much, I went back and bought it in every color! Very soft and fits nicely as well. Lovely soft hoodie. Sizing great. Nice long sleeves, deep pockets and super soft feel. Fantastic buy. Love it! It's the perfect hoodie! It's so good that after getting the black one I ordered a second one in Pink. It's super super soft and cozy even after washing. First I got one in L, it was not as 'cozy and baggy' as I'd like, a bit shorter than I'd expected so I got the next one in XL. But I love both sizes to be fair. This is a snug fit I’m a small but had wanted some extra room so ordered a medium. The medium fits just right so I could have really done with a large. It’s fine so I’m keeping it. Feels nice on soft in th inside and the quality of material is good too. I recommend going up two sizes of you want it to be roomy and one size if you want a slim fit style. Great hoody especially for the price, not too thick and not too thin. Really soft and comfy. Zip feels like it could break easily but other than that it's a great piece. Comfortable, lovely fit, warm but not too heavy, it upsets me when this is in the wash! 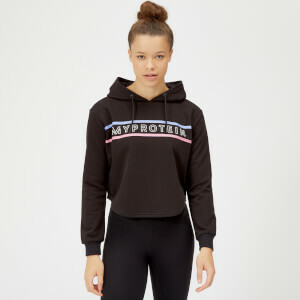 I've started buying more and more myprotein gym wear. Service and delivery is always excellent!